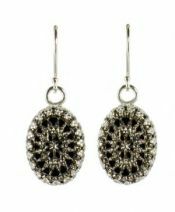 .50cttw antique style diamond dangle earrings. 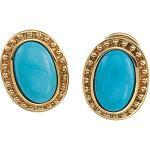 Victorian style turquoise cabochon with gold beaded frame earrings. Antique style 12x8mm faceted briolette Brazilian Garnet drop earrings. 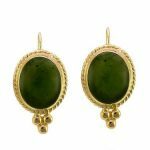 Victorian style 10x8.0mm green nephrite jade cabochon framed earrings. 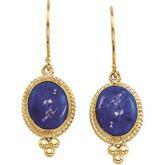 Victorian style lapis lazuli cabochon framed earrings. 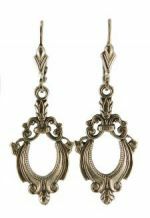 Antique Victorian style tassel earrings with foxtail chain that has a beaded end. 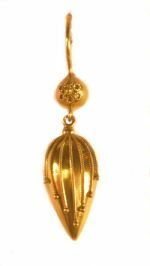 Victorian Etruscan revival style ball shaped drop earrings. 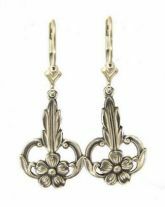 Victorian Etruscan revival style tear drop shaped earrings. Victorian Etruscan revival style garland designed earrings with seed pearls. 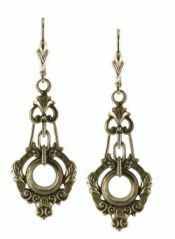 Victorian Etruscan revival style tear drop shaped earrings with wire work detailing. The new supply does NOT have enameling as shown. Victorian Etruscan revival style gemstone earrings in a choice of seed pearl, garnet or sapphire. Victorian Etruscan revival style amphora shaped drop earrings. Victorian Etruscan revival style chandelier seed pearl earrings. 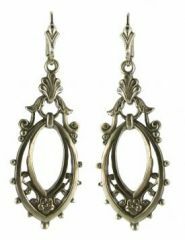 Victorian Etruscan revival style large tear drop shaped earrings.